Our bespoke rooflights offer some of the most stunning and natural ways to illuminate your property, not only giving incredible waves of natural light into your home but can also create a stunning focal point to your room. We design and engineer our bespoke rooflights in all shapes, forms, dimensions and specifications to suit your individual personal requirements, styles and designs. 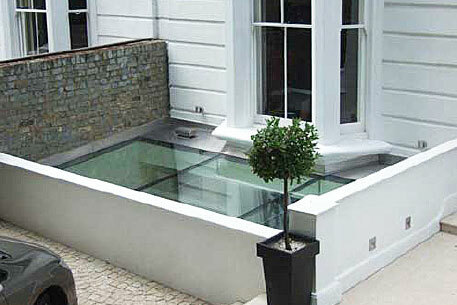 Created from structural glass, our bespoke rooflights can be engineered to be walk-on, formed into lantern styles or frameless glass designs and even fire rated to meet building regulations if required – options can include heat and rain sensors, incorporated blinds and LED lighting and be fully remote controlled. Also enhanced thermal and acoustic properties, easy-clean coatings and coloured tint options are available. Our bespoke rooflights and roof glazing are designed and fabricated with the utmost attention to detail and specification, and you and your home will benefit from fantastic natural light flooding into your property for years to come. Our bespoke rooflights can provide the perfect finishing touch to any design project, whether it’s a refurbishment or an entirely new build project. Whether it be from light box to light-well, or for the ultimate minimalist design – we can replace some of the structural steelwork with structural glass beams made from extra-extra clear glass giving total clarity to the structure –creating an outstanding effect. 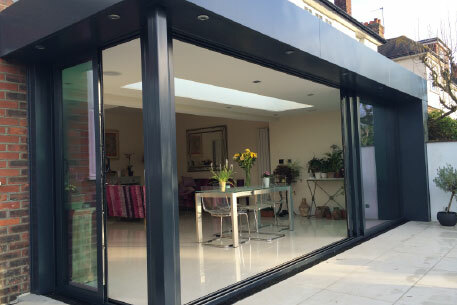 We can also design and engineer fully motorised glass rooflights – giving you the perfect solution for increased ventilation and providing a show stopping feature to your property. 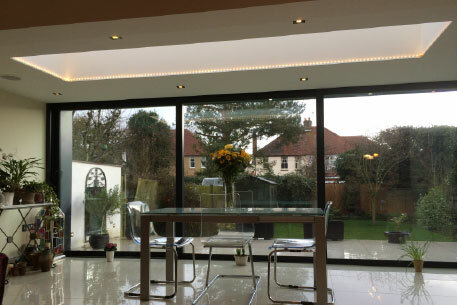 At Glass Design and Build London we understand how to make glass work to your advantage – and if you’re looking to bring spectacular natural light into one or more areas of your home, our dedicated design team we will work with you on a unique solution from concept design to full installation. For more information please call us on 0207 074 8989 or email us through our contact page.